The Muslim world is in the news almost daily, but what do you really know about it? Crash Course in Islam offers everything you’ve wanted to know about Islam in under two-minutes. Crash Course in Islam offers thoughtful information about the Islamic faith in brief modules of up to two-minutes. It describes not only the differences between Islam and other religions, but also aspects that are shared. 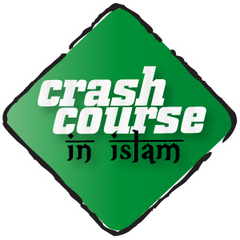 You can also refer listeners to more information, podcasts, blogs, and commentaries at CrashCourseInIslam.org. Crash Course in Islam is produced at WFIU Public Radio in partnership with Indiana University’s Center for the Study of Global Change and the Social Science Research Council. For more information contact LuAnn Johnson at wfiuftp@indiana.edu.